There are three more weeks to catch Tom Maakestad’s paintings at the Minnesota Marine Art Museum. The show runs through December 23rd, 2016. 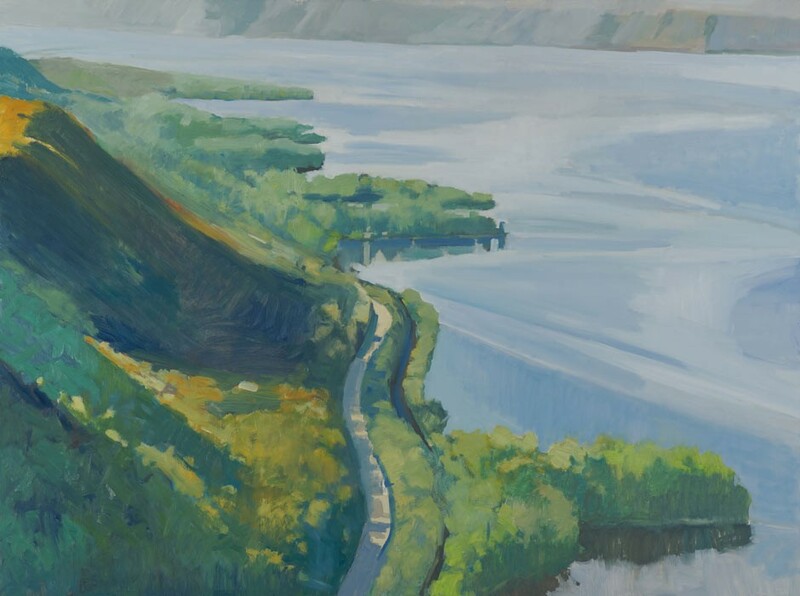 River Perspectives is the third exhibition in the Minnesota Marine Art Museum’s Mississippi River Series, and highlights the work of two prominent Minnesota plein air (“in the open air”) painters – Tom Maakestad and Don Schmidlapp. Both artists exhibit unique perspectives and interpretations of space with inspiration from the River environment. Maakestad lives and works in Marine on St. Croix, MN, where he has maintained his studio for more than 16 years. Prior to his life in Minnesota, Tom lived with his wife Anna in Hong Kong, where they trekked the region and absorbed its cultural and art forms unique to the region. These life experiences, coupled with his unique brand of landscape painting, have made Maakestad’s work both widely exhibited in the U.S and Asia. Schmidlapp has long called Winona, MN, home, thanks to the fertile inspiration awarded from our immediate environment. As a prominent faculty member at Winona State University, Schmidlapp has shared his inspirations since 1981 to students, and his pastel works have been exhibited regionally and across the U.S.